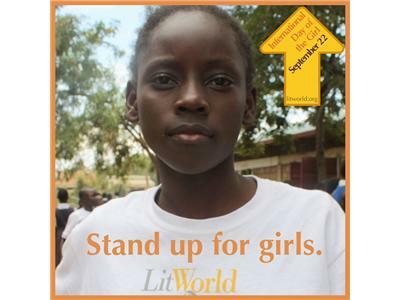 This year, LitWorld is leading a full scale Stand Up for Girls worldwide campaign. They are rallying their network of literacy champions around the world to advocate for every girl’s right to a quality education. 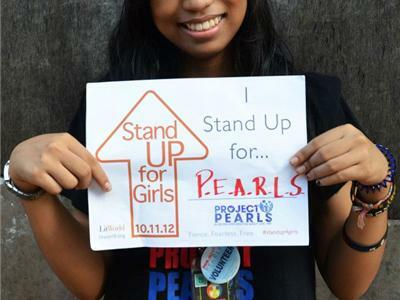 The campaign will culminate on October 11, 2012 with Stand Up for Girls events and online rallies sparked by their corps of champions, working together so that girls everywhere can be Fierce, Fearless and Free. 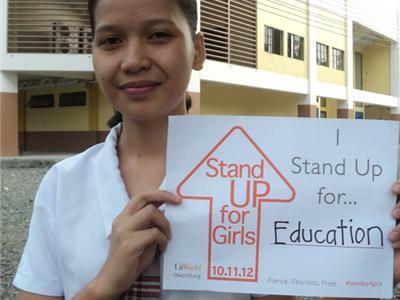 Stand Up for Girls will shine a spotlight on the adversity that girls around the world face as they seek to fulfill their ideal learning lives. Please join us this week as we host members of the Litworld Organization to learn more about the Stand up for girls campaign and the steps necessary to cultivate literacy leaders worldwide through transformational literacy experiences that build connection, understanding, resilience and strength. 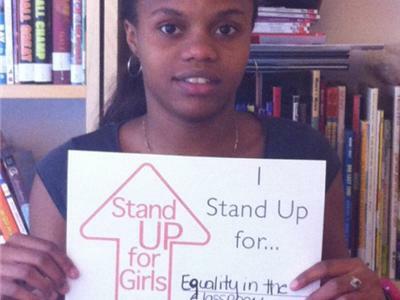 LitWorld's Stand Up for Girls campaign advocates for every girl's right to a quality education. By learning to read and write, all girls in the world can protect themselves against poverty, poor health outcomes and lifelong struggle. Literacy is a skill that once learned, is hers forever. 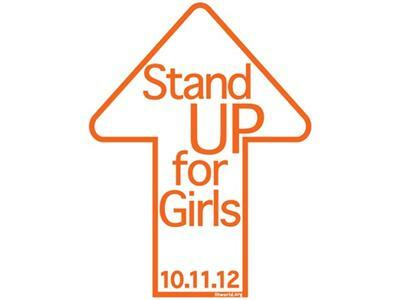 Join the cause on 10.11.12. AV is on board! Are you?